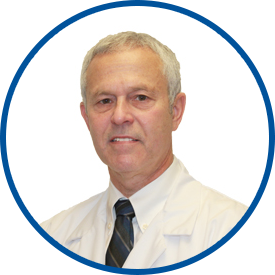 Dr. Ehrlich began his practice in Gastroenterology in 1985. In addition to his interest in common gastrointestinal conditions which often require endoscopic procedures (Upper Endoscopy & Colonoscopy), he has a special interest in esophageal motility disorders (Achalasia, Diffuse Esophageal Spasm, Ineffective Peristalsis) and conditions related to gastroesophageal reflux (GERD, Esophageal Stricture, Barrett’s Esophagus). Procedures such as esophageal manometry and ambulatory pH studies are a large part of his practice. These tests are useful for management of these conditions and are also useful prior to anticipated surgical procedures for hiatal hernia repair, Heller myotomy and bariatric procedures (gastric bypass, gastric sleeve). He also has interests in other gastrointestinal motility disorders such as Irritable Bowel Syndrome. Great doctor! Staff and nurses were kind and helpful.